Was born in the province of Soria, Spain in 1952. 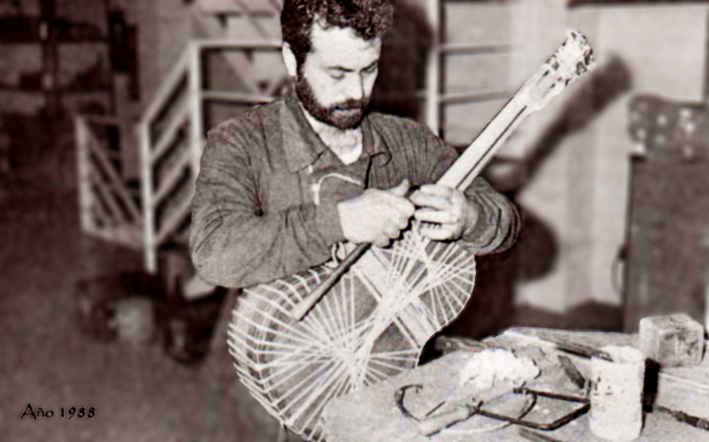 He started his studies in Madrid and when he finished them he began to work in 1966 as a student in José Ramirez III’s workshop in Concepcion Jeronima nº2, Where he began to make lutes, bandurias and mandolins. 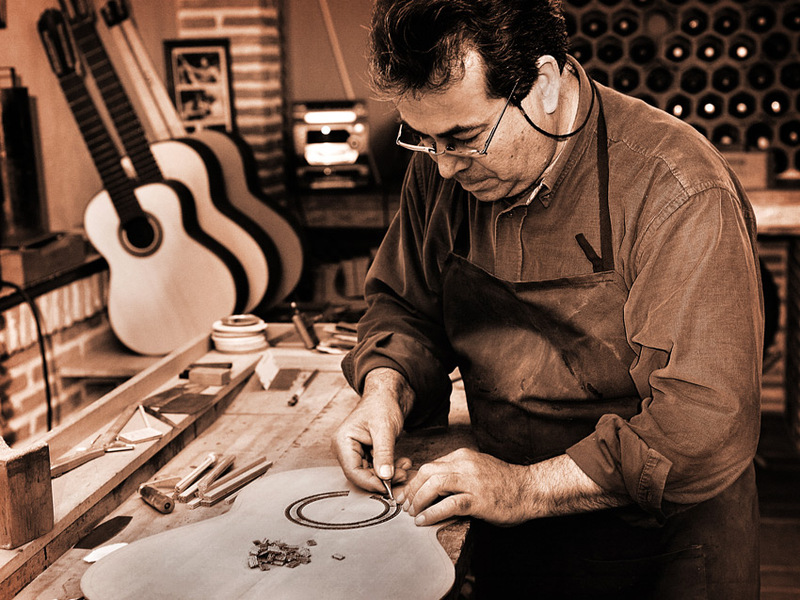 Three years later, José Ramirez III decided to send him to the workshop in General Margallo Street in Madrid in order for him to work as a real guitar maker. It was there where he began his apprenticeship with great masters who works there in that years. In 1969, after passing the appropriate tests, he was qualified First Official. During these years Teodoro Pérez built many instruments, where he stamped his initials GPM or 13th number. In this period he had the great honor to meet the masters, Andrés Segovia, Narciso Yepes and other famous concert and flamenco guitar players. 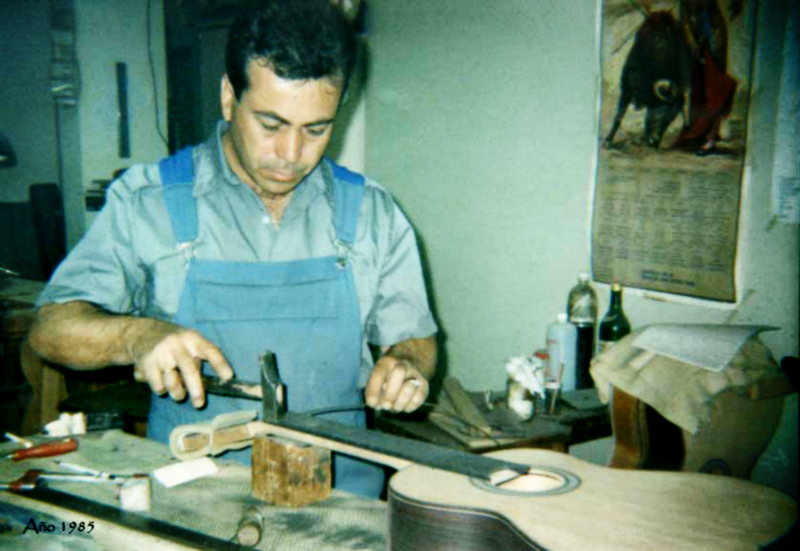 After 26 years, in 1991 he decided to set up in his own company where their instruments began to be famous in all the world. 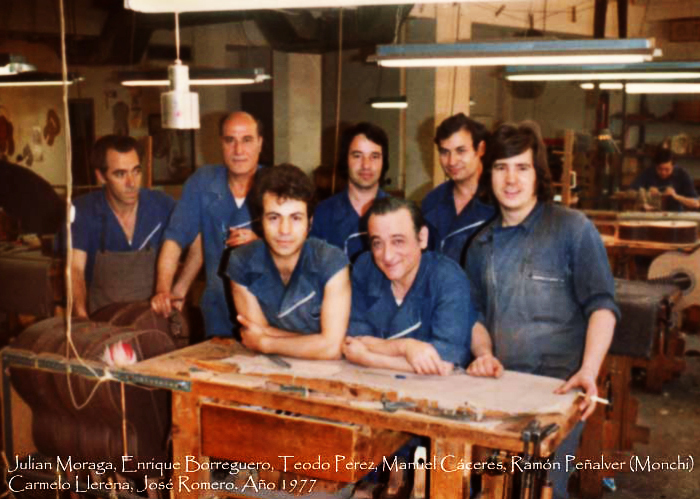 Throughout these years work, he has been the sponsor of other luthier apprentices. He continues doing with his children Sergio, Beatriz and his son-in-law Marco A. Tejeda.